Both the ruling party and the BNP-led 20-party alliance are adamant about their ongoing steps and next course of action, the leaders say. The BNP-led alliance is determined not to backtrack from the nationwide non-stop blockade and hartals until the government assured them of holding mid-term national election, while the Awami League-led ruling alliance has expressed resolve to control the ongoing “unrest” at any cost. The Awami League high command believes that the ongoing movement would end once the top leaders of the BNP and Jamaat-e-Islami are arrested, as it happened in 2013, ahead of the January 5 poll. The prime minister has also threatened to take stern measure against the BNP chief. Yesterday, the authorities cut off electricity connections of BNP Chairperson Khaleda Zia’s Gulshan office while the detectives arrested its Joint Secretary General Ruhul Kabir Rizvi from a hideout. Speculations say Khaleda, who has been staying at her office since January 3, could be arrested any time and sent to CMH, Dhaka to keep her away from party activities. However, it could not be confirmed whether any such decision has already been made. A minister, who is also a senior leader of the Awami League, told the Dhaka Tribune: “The government will not take a U-turn from the mass arrest of BNP-Jamaat men. The drives will continue. The leader further said the government would not want to arrest Khaleda by the police or the joint forces and that she would not be kept under custody of the law enforcers. The following day Army chief Gen Iqbal Karim Bhuiyan met President Abdul Hamid at Bangabhaban. However, President’s Press Secretary Ihsanul Karim after the meeting said the army chief had apprised the president about the five medical colleges, established by Bangladesh Army, that started academic activities recently. When contacted, State Minister for Home Affairs Asaduzzaman Khan Kamal yesterday told the Dhaka Tribune: “We have not got any directives from the government’s high command [prime minister] to arrest BNP Chairperson Khaleda Zia. 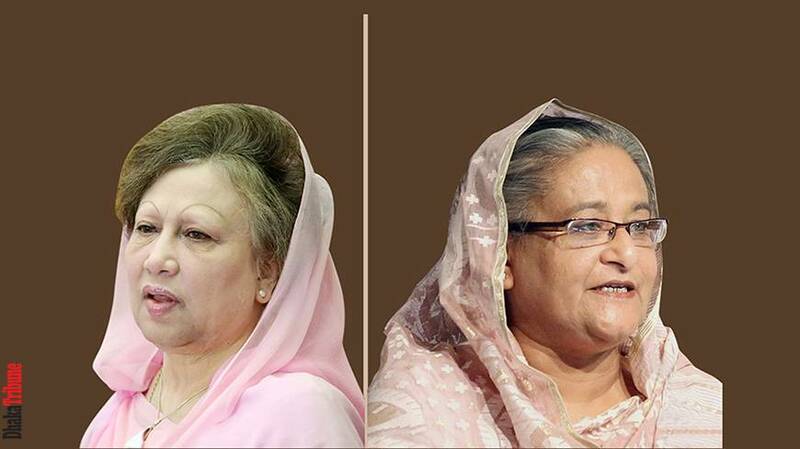 If the prime minister issue orders, we are ready to arrest her [Khaleda] any time. He, however, said anyone might be sent or go to the CMH for treatment. Sources in the ruling 14-party alliance said the government had decided to control the BNP-Jamaat’s “anarchy” with an iron hand. As part of the plan, the joint forces and the law enforcement agencies in separate drives arrested several thousand BNP-Jamaat activists and several top leaders including BNP acting secretary general Mirza Fakhrul Islam Alamgir. Protesting the arrests, the BNP-Jamaat alliance has become more desperate and called 72-hour hartal from today amid the indefinite blockade. They have not considered plights of the SSC examinees despite calls for suspending the movement during the exams.